7. If you have diabetes, it is important to understand that unhealthy blood sugar levels can increase your risk of tooth decay and gum disease. Your dentist can help you maintain oral health in spite of your condition. If you have already experienced dental complications related to diabetes, schedule a consultation with Dr. Hammond. 8. Beware of the dental risks of chronic dry mouth (xerostomia). Continual saliva production is essential for keeping the mouth lubricated, washing the food from tooth surfaces, and neutralizing the acid caused by plaque. Decongestants, blood pressure medications, antidepressants, and painkillers are some of the medications that can cause dry mouth. Dr. Hammond can help you protect your teeth if you live with this unpleasant condition. 9. Wearing a mouthguard when you participate in sports can prevent tooth injury. Many Provo dentists offer custom mouthguards that fit perfectly. 10. 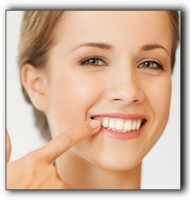 If you are looking for an excellent dentist in the Provo area, we invite you to schedule an appointment with Drs. 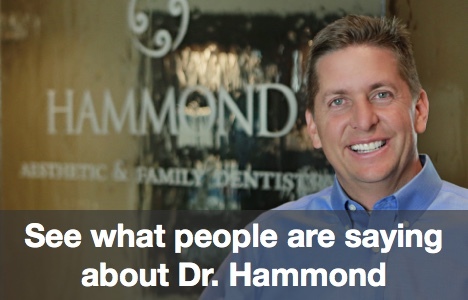 Dr. Hammond at Hammond Aesthetic & General Dentistry. At Hammond Aesthetic & General Dentistry, we provide gentle, quality care for children and adults. Talk to us about preventative, restorative, cosmetic, or children’s dentistry. We look forward to serving you.